Branddocs TrustCloud. Trusted Solutions Cloud. 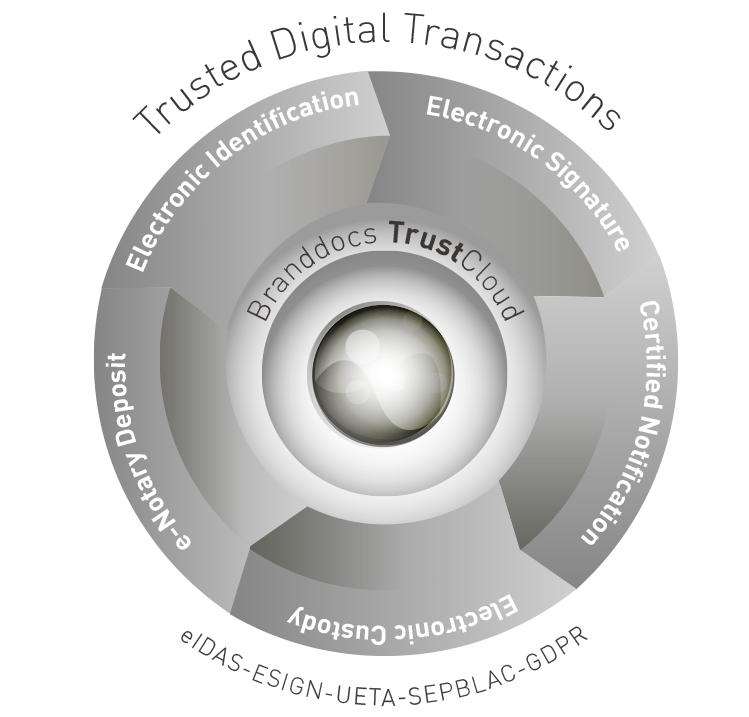 Branddocs is the only comprehensive provider of Trusted Solutions globally with a specific cloud for identification, signature and secure custody of digital documents based on a DocuSign DTM core: Branddocs TrustCloud. Our TrustCloud is the most complete tool on the market. Branddocs TrustCloud covers aspects of identification, signature and custody with resealing. In this way Branddocs offers an exhaustive solution as a Provider of Identification, Electronic signature and Trusted Third Party services. Incorporate our Branddocs TrustCloud, available as Software as a Service (SaaS), for the shortest implementation and time to market and the highest ROI.